President Trump's problems are deepening after a dramatic week in the Robert Mueller probe, and even his allies are worried about what might come next. Trump has become increasingly enraged about the special counsel's probe after a week in which his former personal attorney Michael Cohen pleaded guilty to lying to Congress and affirmed his full cooperation with Mueller. Mueller also stepped away from a cooperation agreement with former Trump campaign chairman Paul Manafort, accusing Manafort of lying. And the author and conspiracy theorist Jerome Corsi publicized a draft plea agreement with Mueller, even as he rejected that deal. "It is something that has again taken the president way off message, and it creates a sense of political doom or disaster," said one Republican strategist with ties to the White House. "It's hard to tell what you're dealing with - until you actually have charges." Another GOP operative had an even pithier summation: "Darkness falling," the source said. There is nothing criminal about such a plan, but it is the kind of personal, striking detail that adds to Trump's political difficulties on Russia. Beyond last week's developments, there are several other potential pitfalls that worry Trump allies. Another is the possibility of the Trump family coming under increasing focus - the new legal filings in the Cohen case describe him talking about the project with unspecified "family members." Referring to the new Democratic-led House, the GOP strategist with White House ties said: "It's a huge problem. I don't think [Trump] really understands what is coming at him until it does. He is used to dealing with the reality of what the message is today but not the reality of what things will be like a few months ahead." Rudy Giuliani, one of the president's lawyers, has insisted in several interviews that there is no contradiction between Cohen's current story and the version of events provided by the president. The proposed Trump Tower Moscow was apparently one of the issues addressed in Trump's written answers to questions from Mueller, which were submitted almost two weeks ago. Roger Stone, the longtime Trump ally who has come under scrutiny over leaked documents about Hillary Clinton's campaign, insisted again to The Hill in a Friday afternoon phone interview that he had done nothing wrong. Asked if he had ever discussed WikiLeaks with Trump, Stone replied, "Never. On no occasion - as I said on 'Meet the Press,' and as I have said under oath. Never - and the government has presented no evidence to the contrary." Stone insists that he is being "targeted" for his support of Trump and his vehement opposition to Clinton. Trump himself has repeatedly lashed out at Mueller's probe as a "witch hunt." On Friday, from Buenos Aires, he tweeted a defense against the charge that the Trump Tower talks were suspicious. He said that he had continued to run his business while seeking the presidency - "very legal & very cool," he asserted - and added that he had "Lightly looked at doing a building somewhere in Russia. Put up zero money, zero guarantees and didn't do the project. Witch Hunt!" The tone of the president's tweets, however, has itself sparked speculation that he is feeling the pressure as never before. Mark Zaid, a D.C.-based attorney who specializes in national security matters and has represented clients from both parties, said that while it was clear the stress and pressure on Trump was increasing, it was important to keep in mind "that does not necessarily equate to criminal culpability." 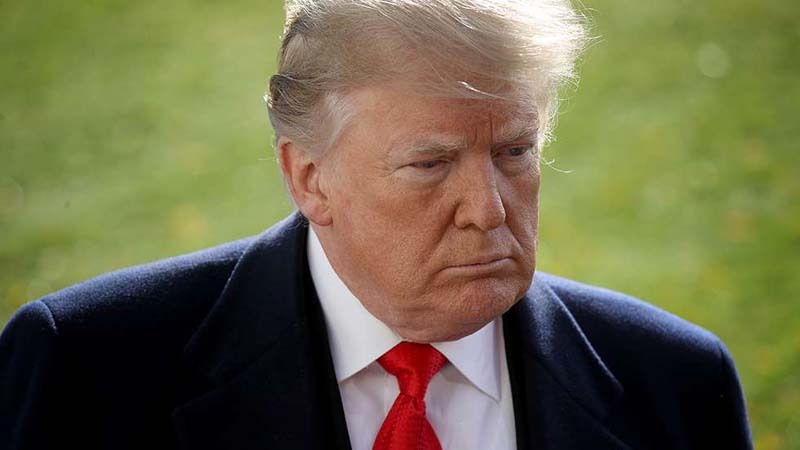 "I would say with every close confidant who goes down in flames - as we have seen now on multiple occasions - the waters surrounding Trump get deeper," Zaid said. "The question, of course, is will he drown?"